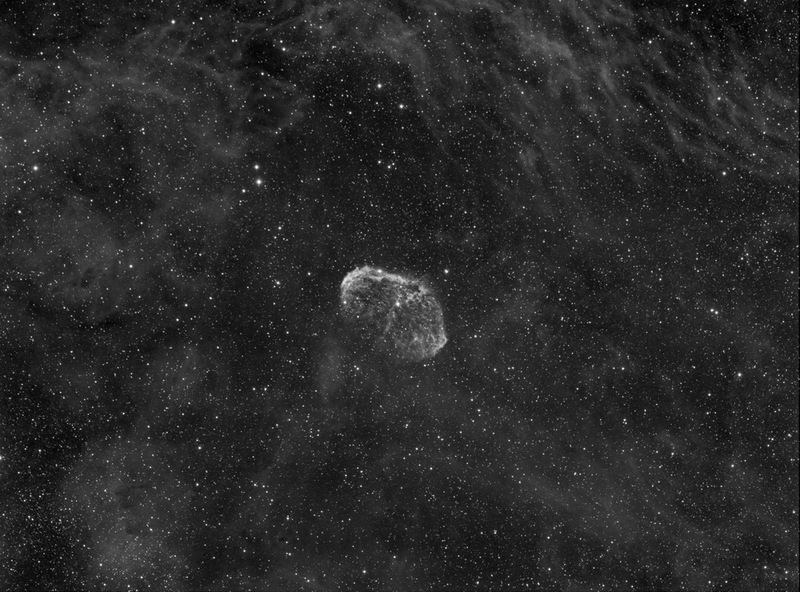 This is 50, 10 minutes exposures on the Crescent Nebula taken over 3 nights. Stars are not as round as on my last image, the Elephant's Truck but I'm pleased with how it came out none the less. I will be adding LRGB data this weekend and maybe OIII if time permits before this guy gets to low in the sky.